For the past 25 years Evelyn has paid for the medicine, supplies, and housing for the birds and mammals. 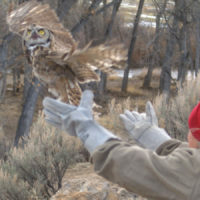 Your contributions will help Dayton Valley Wildlife Reststop continue with the care of the injured or orphaned wildlife. Please mail your donation to Dayton Valley Wildlife Reststop 230 Imperial Way, Dayton, Nevada 89403. Success On So Many Levels! !